Woodhaven is in central Queens, on the border with Brooklyn. It meets Forest Park to the north, Richmond Hill to the east at 98th Street and Ozone Park to the south at Atlantic Avenue. To the west at Eldert Lane is the Brooklyn neighborhood of Cypress Hills. This working class neighborhood is fairly dense, with a mix of single-family and multifamily homes and apartment buildings. 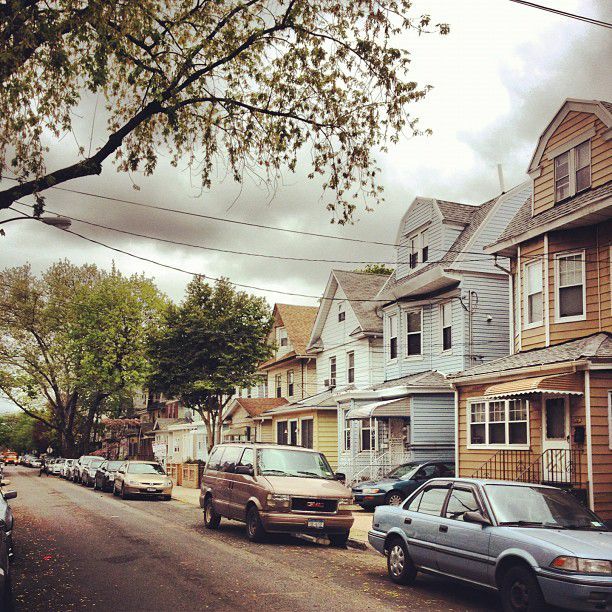 Originally developed in the mid-1800s, Woodhaven is one of the oldest neighborhoods in Queens. The subway extended to Woodhaven in the 1890s from Brooklyn. There are still Victorian homes well over 100 years old in this family-oriented neighborhood. Residents represent the diverse mix of Queens, mainly Hispanic and European, but also African-American and Asian. In the U.S. Census American Community Survey that covers 2009 to 2013, Hispanics dominate the population, counting nearly 55 percent of the residents. The neighborhood in the 1950s and 1960s was primarily Irish, Italian, German and Polish. The larger houses in Woodhaven spread north of Jamaica Avenue toward Forest Park, and you'll mostly find colonial and Victorian architecture here. South of Jamaica, the houses are smaller and the feel is extremely dense, with single-family and multifamily houses dominating the scene. Woodhaven has two subway stops on the J and Z subway line, elevated above Jamaica Avenue. The A subway is close in neighboring Ozone Park. Residents with cars have easy access to the Jackie Robinson Parkway (formerly the Interboro). Woodhaven Boulevard is the main north-south conduit, giving access to the Belt Parkway and Long Island Expressway. This sign marks the home of Fred Trump (1905–1999), real estate developer and father of Donald Trump, real estate developer, TV personality and 45th president of the United States. Here's some irony: The author of "A Tree Grows in Brooklyn" (1943) wrote it under the treed canopy of Woodhaven. Betty Smith (1896–1972) wrote the best-selling novel at her house on Forest Parkway, across from the Woodhaven Library. The novel is about an Irish-American family, their hopes, dreams, and struggles, in Brooklyn in the early part of the 20th century. Mae West (1893–1980), the famous actress, lived in Woodhaven and made her debut performance there. A historical marker is outside the venue. The scene in "Goodfellas" (1990) when the gang gathers after robbing the airport was shot at Neir's Tavern on 78th Street. Over the years these attached brick row houses have gained a mix of window dressings and porticos around the separate entrance doors. They are a prevalent form of housing in this neighborhood. Besides its convenient access to Manhattan via the subway, its relatively affordable housing and the proximity of Forest Park, working-class Woodhaven is home to seven churches. Weddings can be festive, like this one, with a horse-drawn carriage all ready to take the bride and groom to their reception in old-fashioned, romantic style.